Feeding is fundamental for all heterotrophic organisms, providing the means to acquire energy for basic life processes. 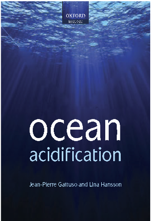 Recent studies have suggested that experimental ocean acidification (OA) can alter the feeding performance of marine calcifying invertebrates, but results have been inconsistent. While several reviews pertaining to the biological effects of OA exist, none provide a synthesis of OA effects on feeding performance. Here, we provide a quantitative analysis of published experiments testing for effects of elevated CO2 on feeding rates of marine calcifying invertebrates. Results revealed that suspension-feeding molluscs and predatory and grazing echinoderms experienced depressed feeding rates under elevated CO2, while arthropods appeared unaffected; larval and juvenile animals were more susceptible to CO2 effects than adults. Feeding strategy did not appear to influence the overall taxonomic trend, nor did habitat, although exposure time did have an effect. AIC model selection revealed that Phylum best predicted effect size; life stage and exposure time were also included in candidate models. Based on these results, we synthesize potential physiological attributes of different taxa that may drive OA sensitivities in feeding rates, which could potentially result in community-level impacts. 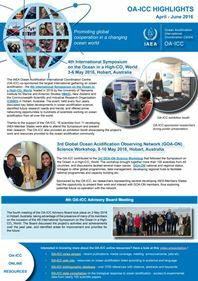 We also discuss CO2 effects on calcifier feeding in the context of elevated temperature and other global marine change stressors, and highlight other areas for future research. Clements J. C. & Darrow E. S., 2018. Eating in an acidifying ocean: a quantitative review of elevated CO2 effects on the feeding rates of calcifying marine invertebrates. Hydrobiologia. Article (subscription required).